Sometimes something is damn near perfect in every way. The Suffragette Social, a fundraising event held Saturday October 1 at Chicago's Spudnik Press, is one of them. Founded by Angee Lennard in 2009, Spudnik Press is a non-profit that reaches far into many communities is Chicago. I have heard wonderful things about it over and over again from my colleagues who print and make books. And I have seen incredible artwork (e. g. the thesis project of Hannah Batsel, my studio mate in grad school) facilitated by Spudnik. So when I heard about the fundraiser, I was so excited to go. It was lovely. The Suffragette Social was full of donated art to bid on. 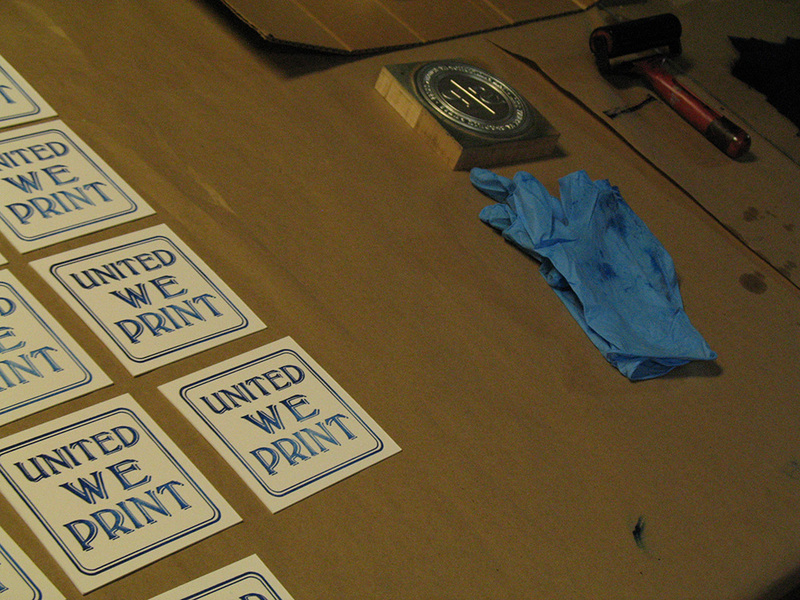 A staff member was printing "united we print" on small cards. 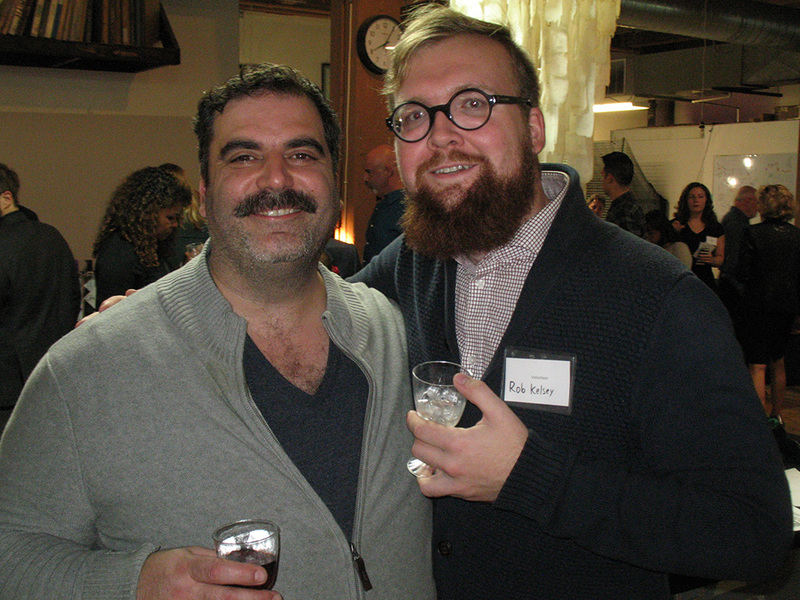 There was food, drink, music, and merriment everywhere. And at the end of the night, Angee thanked the attendees and supporters, and all grabbed a sign and marched through the shop. This is what non-profits should look like. There are so many fabulous arts organizations in Chicago, and they deserve our support in any way we can give it.